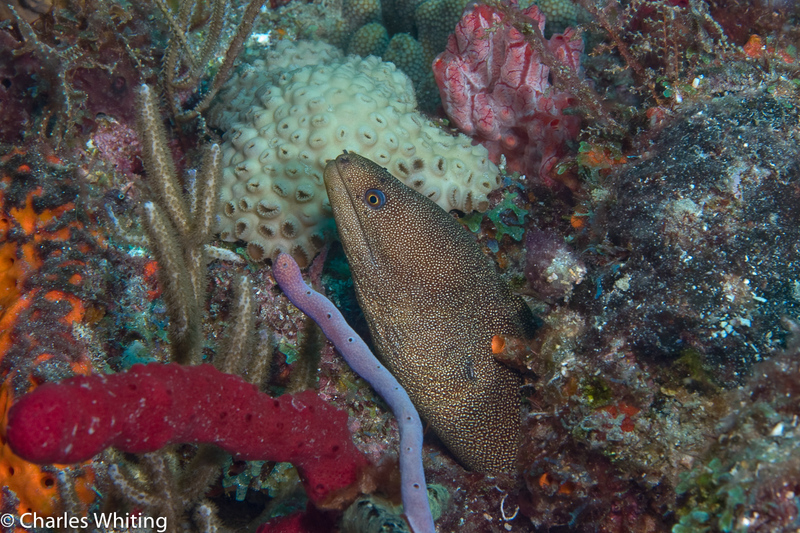 A Goldentailed Moray Eel looks out from its home in the coral reef. Boynton Beach, Florida. Photo © copyright by Charles Whiting.